Ask Ayurveda: How can I avoid feeling overwhelmed in my Ayurvedic routine? Thank you for your honesty and your question. I hope it makes you feel better when I say you are definitely not alone. Depending on where you are in your life, the changes that are requested from Ayurveda can seem very demanding and at times overwhelming. Unfortunately if stress or anxiety result from trying to incorporate all of these positive changes, it can then bring negative results. Therefore it is essential to make these changes, slowly but steadily in an intelligent manner to avoid the repercussions of doing too much too soon. It is natural to want to do everything straight away and perfect. However, Ayurveda is all about balance and this is not a balanced approach. If you are on the complete other side of the spectrum and try to do everything overnight, you will possibly last for a couple of weeks until you feel burnt out, frustrated and resentful. I have seen it first hand! Just as with everything else, making these changes requires full awareness and honesty from the individual. As you are experiencing, this awareness will help you to realize the cycle of following the Ayurvedic recommendations to a T, only to fall off of the ladder in a state of overwhelmed. Now that you are aware of this cycle, we must now learn how to avoid this from continuing in the future. Since you are a Kapha predominant individual, I will assume you are following the Kapha diet and lifestyle routine, and I will guarantee you this is definitely not easy. There are many foods to avoid and tons of rules such as no snacking, no eating late, no napping, proper food combining and exercise; just to name a few. And yes, although some of them are very painful, they are all very important and so very beneficial for those of a Kapha nature or imbalance. Therefore, I will help you discover a better approach to making these changes without stress, anxiety or overwhelm. Even better I will help you discover how to play around a little without falling off of the ladder. 1. Make a list of all the areas you need to make changes in. This list can be long or short depending on where you are in you life. As you can see, this list can easily get very long; but do not fear! This is only the initial step to evaluate the situation. It is not a list of all the changes that will be made immediately. 2. Place a star by three items on your list that you would like to change. I further suggest to avoid picking three major changes. Instead try to pick one major change, one medium and one minor. If you begin to feel overwhelmed even with three changes, reevaluate the situation and cross one off of the list and continue on with the remaining two. 3. Make the changes you have chosen in a balanced manner. By this I mean that if you have been drinking 3 cups of coffee every morning for 15 years, it is highly doubtful that you will simply wake up tomorrow, avoid all coffee and feel great. Instead you will probably wake up and feel miserable, frustrated and tired. You may even get physical withdrawal signs such as a headache. Therefore, it may be better to begin by reducing your 3 cups to 1 cup the first week, then slowly and systematically begin to replace your morning coffee routine with some herbal tea. This can go for any other changes as well. As a second example, say I wanted to eliminate snacking all day. Instead of completely giving up the snacking to begin, I may just decide to replace my candy snacking habit with a healthier option such as a spoonful of almond butter with honey. The portion is smaller, the food choice is healthier and eventually I will work toward giving up the snacks 100% (if that is my goal). 4. Once you feel comfortable with your changes, go back to the original list and add more. 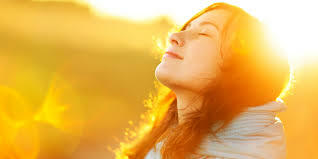 Once you feel at peace with the changes you have already made, it is then time to go back to the long list and begin to incorporate them one by one. It may be a week, a month, maybe even two months before coming back to your original list. It will vary for each person, as we all have different things we are working with and react in different ways to change. This is when we must use our awareness and honesty to discover a path of moving forward; not too fast, but also not too slow. 5. If you fall off of the wagon, brush yourself off and try again! Ayurveda is not a path of perfection or extreme. Alternatively, it is a path of balance and working with each individual where they are at. Therefore we must honor the fact that we are not perfect, nor should we be, nor will we be. If you find yourself having an off day, week or even month; it is never too late to go back to step #1 and start again. Take a deep breath, brush yourself off and continue to move forward on your path. 6. Discover when to play and when to be strict. As with everything in life, in Ayurveda there is a time for work and a time for play. The trick is to discover the appropriate times to veer a bit and when to steer straight. It is an art really! I have learned through my experiences and observations that there are times that a very strict regimen is needed. A good example of this is when a client is just beginning their first session with me and has a very strong and chronic imbalance. After the session, I will then give several recommendations to follow for the next 30 days (or longer) and this I expect to be done in a more strict fashion (while keeping #3 in mind). Basically the stronger the imbalance, the more serious you should be in terms of your treatment protocol, especially in the beginning. If you are looking to loose 50 pounds but continue to eat a heavy dinner each night at 9pm, then this is not an area I would suggest “playing with”. This change may take several weeks to get it down, but eventually this just has to take place. This is an example of being strict with the rules. For an example in the other direction, let us discover a time to play. If you have been working with Ayurveda for quite sometime and you are beginning to feel energized, balanced and your digestion is robust, you will then begin to incorporate things that were previously forbidden. This is not true for all things, just as an alcoholic may never be able to taste alcohol again, but it can be true in less dramatic areas. Say you are a Kapha type and have been advised to avoid all sweets. You have perfected this rule and have in turn lost 10 pounds, gained a stronger metabolism and increased energy after following this for 3 months. Then if you feel ready, you can begin to take a healthy sweet in once or twice a week. You may want to always avoid refined sugar, as it is very addictive and unhealthy by nature, but having some bitter chocolate or honey on occasion may be just what you need to avoid the feeling of depravation. As long as the playing doesn’t lead you away from your path, it can be healthy to allow some space for moderation. 7. Do what you can, when you can; that is all you can do. 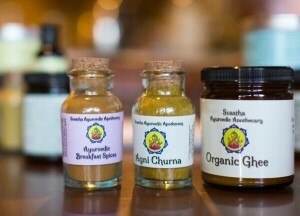 If you have kids and a full time job, you most likely will not be able to follow the entire Ayurvedic morning routine. 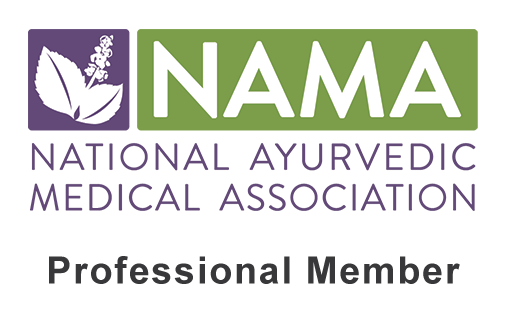 In fact, if you were to follow all of the recommendation that Ayurveda suggests, it really is a full time job. Therefore, decide what is realistic in your daily life and go from there.For example, you may not have time for a full body massage each day, but most of us have 5 minutes to spare to massage our feet with oil before bed. This is called a modification, and with our busy schedules we must learn to modify! Find the simple practices like tongue scraping that will be incredibly beneficial while only take a minute of your morning, and begin to add these to your day. If you don’t have the time, money or energy to join a gym, simply add a short walk into your routine after work. If you are wanting to oil pull but are pressed for time in the mornings, swish the oil while you are in the shower. You do not have to do every suggestion, everyday of the week. It is completely necessary to have a consistent routine, but only if it is in a balanced manner. If you are stressing out trying to be perfect and trying to do everything, everyday; you are definitely on a road to burn out. If you begin to feel overwhelmed, instead of giving up on everything, simply take a step back and reevaluate the situation. Well Overwhelmed with Ayurveda, I hope you are able to find some use from these suggestions for your own path. It is a lot to take in, but I feel it is really important to remember when you are looking to make these major, not-so-easy changes in your life. The biggest advice I can give is to discover when you need to push yourself and when you need to let go a little. Ayurveda is not about finding perfection, it is about finding balance. Once you discover this you will really find the magic of Ayurveda!